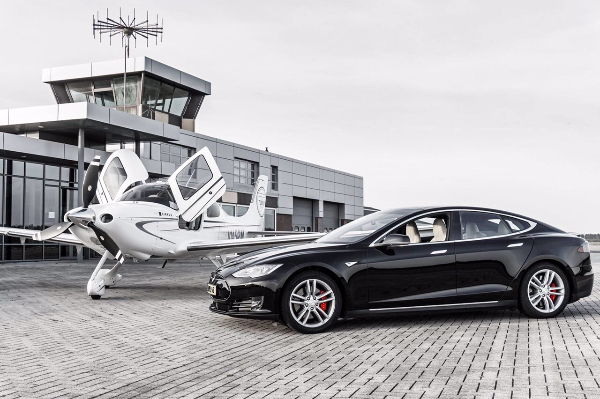 Friday 10 April marked the first Fly & Drive experience at Budel Airport (Netherlands), organised by Fly Aeolus, Tesla Motors and our other partners. At the event, all-new forms of personal mobility were showcased to both Tesla’s and Fly Aeolus’ current and potential customers. 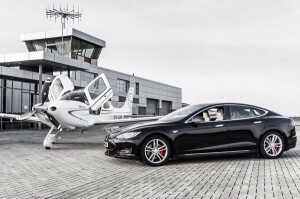 During this fantastic experience, attendees could take the brand-new Tesla P85D for a spin themselves. Afterwards, there was the opportunity to visit a Tesla final assembly line factory. The day was capped off with a demo flight on-board a pooled Cirrus SR22, the flagship of Fly Aeolus. We would like to thank all our partners for making this thrilling, beautiful day a huge success! We hope to see you all again at next year’s event or at one of our spin-off activities.